The two teams with the highest expectations coming into next summer’s World Cup are undoubtedly Germany and Spain. These international juggernauts will swagger into Brazil fully expecting to win the entire tournament. Not only are they ranked 1-2 (Spain, then Germany) in the current FIFA World Cup Rankings, but Spain is the defending champions and Germany has finished 3rd in the last two Cups. 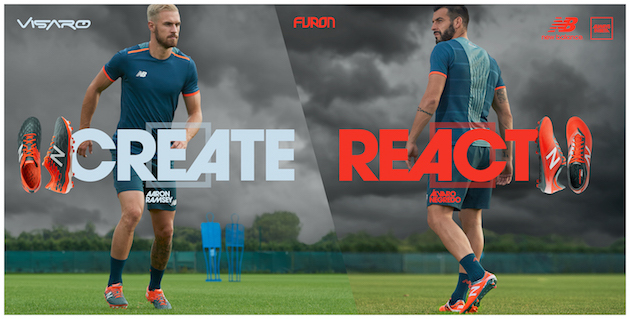 The new Federation Kits from Adidas will help both of these national teams live up to the billing in style. First, the Spanish side. La Furia Roja will be defending their title in, well, red. 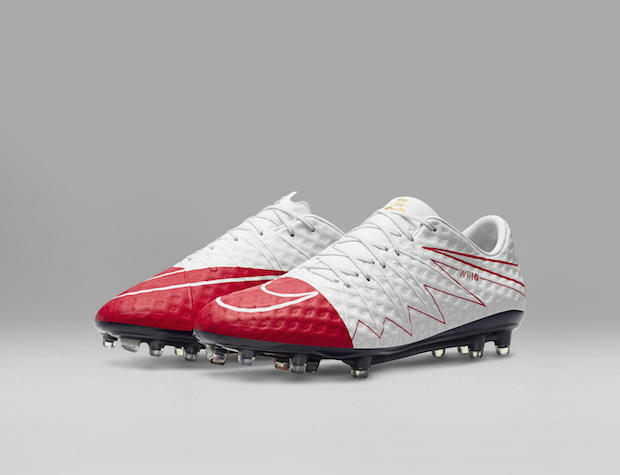 The classic two-toned red pinstripe look will make Iniesta, Xavi, Pique and Co. look as elegant as possible when they are mesmerizing opponents with their tiki-taka style. Adidas has accented the red with gold details and it lends an even more majestic feel to this home jersey. 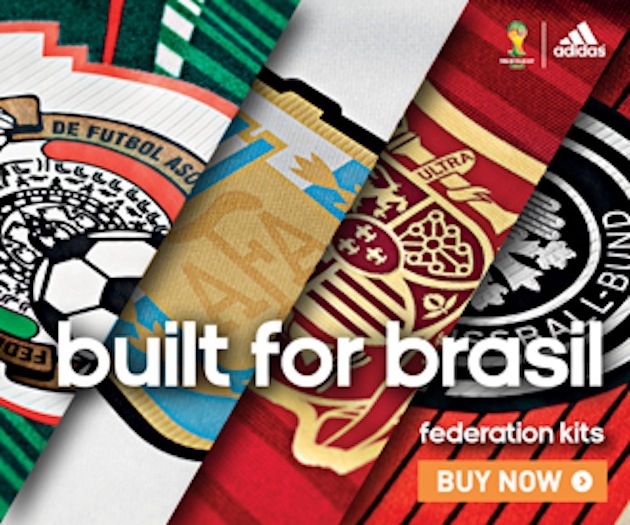 Almost like Adidas and Spain are letting everyone know they are the kings. Considering they hold the last two Euro titles in addition to their World Cup title in 2010, that is hard to argue with. 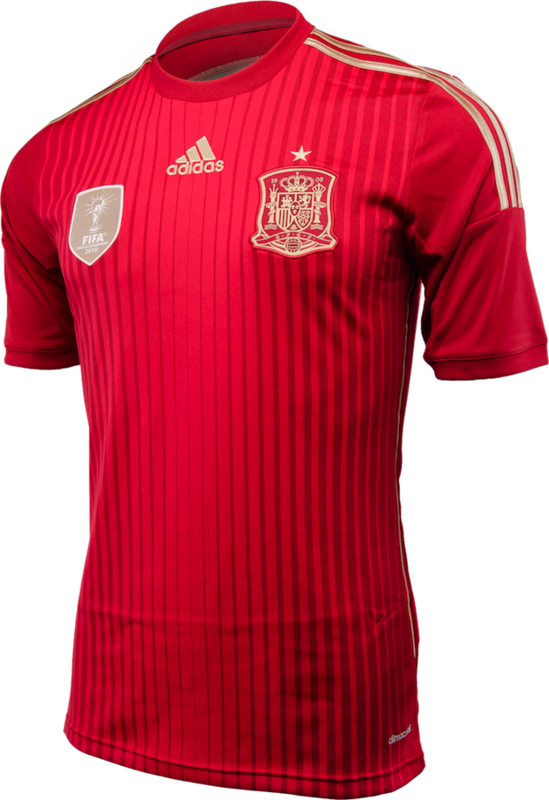 On the left chest you can see the Spanish Football Federation crest with a single star above it, symbolizing their lone World Cup championship in 2010. On the right chest, they show this title off to their competitors and all of the world with a gold badge that reads: “FIFA World Champions 2010”. Intimidated by the Spanish side? You should be. 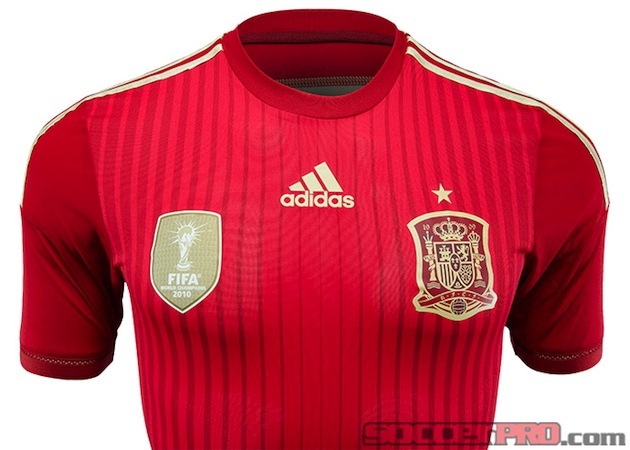 Don’t forget about the Authentic Spain home jersey as well. 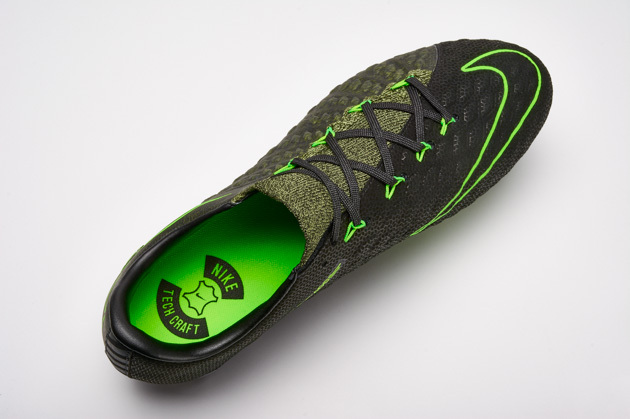 It’s what the Spanish players will actually be wearing. The adiZero ultra light material makes the jersey weigh as little as possible. Seriously, I’ve held it and jerseys don’t get any more lightweight. 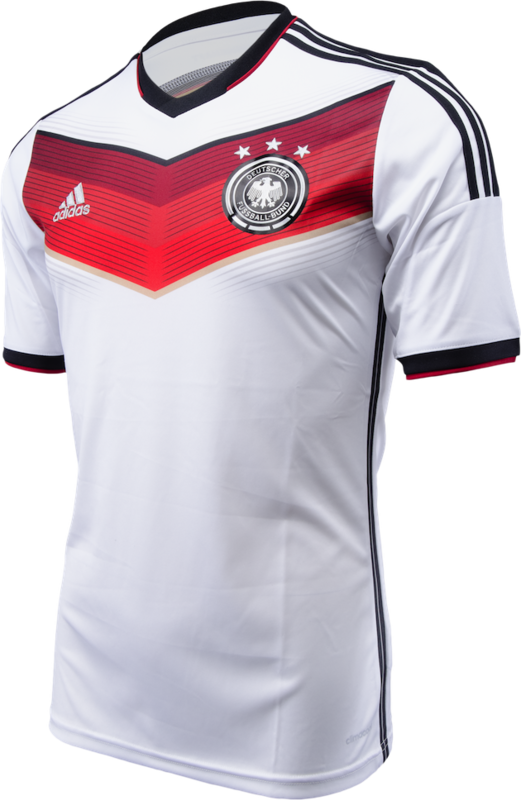 Adidas has given Germany a white jersey with a large red chevron on the chest. It’s a different take on the black, red, and yellow of Germany’s flag. The collar and the end of the sleeves are black with a red stripe that look real sharp. 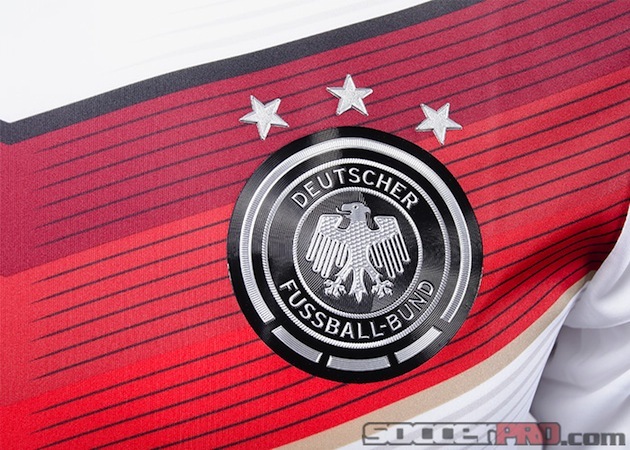 On the left chest, you have the German football crest in a legit-looking silver and black design with three stars above it for – you guessed it – their three World Cup victories in 1954, ’74, and ’90.